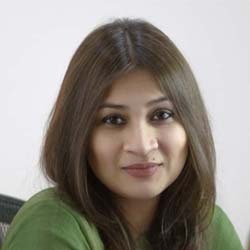 Sohana Rouf Chowdhury is Director of Rangs Group in Bangladesh, an industrial conglomerate that includes automobile, electronics, real estate, shipping and pharmaceuticals. A graduate from New York University followed by over 20 years in hands on experience in creating and managing diversified businesses and social initiatives in Bangladesh, Sohana is an entrepreneur with a passion for women’s equality in the workforce. Her brainchild, Ranks Dolonchapa Express Limited remains the first and sole privately owned female only bus service in Bangladesh, serving as an example of a social initiative that truly impacts society. Sohana Rouf Chowdhury is also an active board member in Lankan Alliance Finance, a newly-constituted non-banking financing institute that is a joint venture FI between Sri Lanka and Bangladesh. In Singapore, she has the sole distributorship of the brand LUSH, currently operating out of 4 outlets across the city that embodies the principles of nature and sustainability on which each of her business runs.